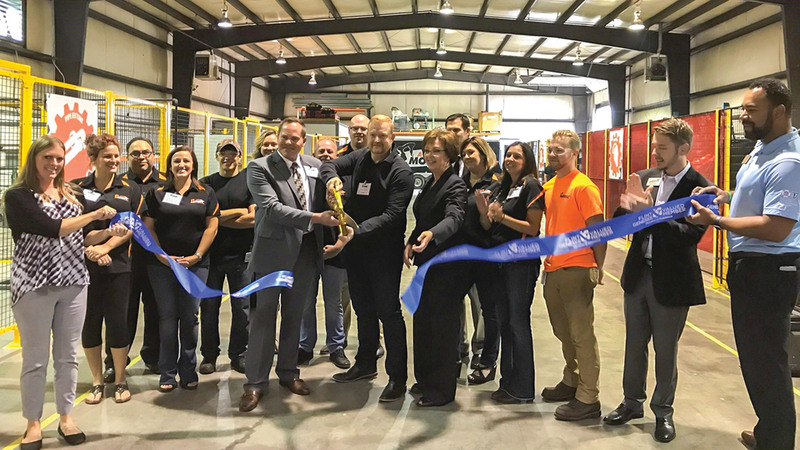 (Featured) Automation Movers International, 4110 Market Place, Flint Township. Unveiled a new skilled trades training center on Sept. 13. Wears Like New, 4362 Miller Rd., Flint Township, on Oct. 5. A consignment boutique that specializes in quality merchandise for the entire family. Mid-Michigan Business Center, 4520 Linden Creek Pkwy, Flint Township, on Sept. 27. Offers executive office, shared office and co-working space. 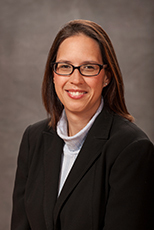 Security Credit Union welcomes Heidi Schwarz, CPA, to its corporate office as the institution’s Controller. She was formerly the director of finance and administration for Signature Truck Systems. She holds a Bachelor’s degree in Accounting from the University of Michigan-Flint. 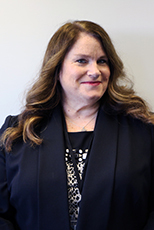 Janis Mueller is the new the Regional Director for the Michigan Small Business Development Center (SBDC) for I-69 Region, hosted at Kettering University. Previously, Mueller served as a Senior Business Consultant for the SBTDC North Carolina in Wilmington, and served as an interim regional director there for almost a year. Three physicians have joined the employed staff at Genesys: Steven Brooks, DO, Cardiologist; Michael Collins, MD; and David Luebbert, MD, both primary-care physicians. 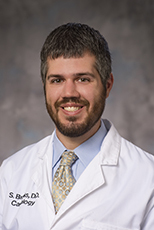 Dr. Brooks, who joined the Genesys Heart Institute Physician Group, recently completed a fellowship in cardiology at Genesys and brings expertise in the areas of electrocardiography, echocardiography, transesophageal echocardiography, nuclear cardiology and preventive cardiology. Dr. Collins joins Dr. Melanie Pendergrass at Genesys Primary Care Grand Blanc, 8392 Holly Rd. 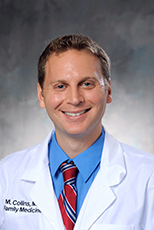 Dr. Luebbert is seeing patients at the Genesys Family Health Center, 1460 Center Rd. in Burton. McLaren Flint announces the appointment of Parul Sud, M.D., as Program Director of the Internal Medicine Residency Program, and Kavitha Kesari, M.D., as Associate Program Director. 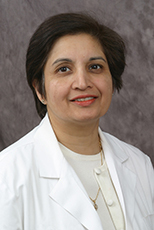 Prior to her promotion, Dr. Sud had served for more than 20 years as Associate Program Director/Director Ambulatory Medicine in Internal Medicine at McLaren Flint. 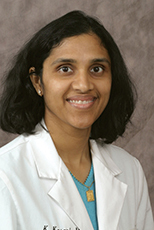 Dr. Kesari has served as Assistant Program Director of the Internal Medicine Residency Program at McLaren Flint for 10 years. 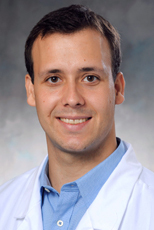 The Internal Medicine Residency Program is affiliated with the Michigan State University College of Human Medicine. The Family Residency Center welcomes family and sports medicine physician, Hussein Saghir, D.O., CAQSM. Dr. Saghir has provided sports medical care to all of Detroit’s professional athletic teams and also treats the general public and recreational athletes. Heather Kale is the new General Manager of the Ferris Wheel Innovation Center. Kale was formerly the Director of Member Services for the Flint & Genesee Chamber of Commerce. 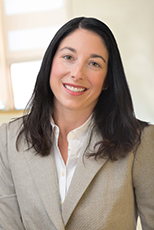 Jennifer Wygonic has been promoted to Executive Director of Meridian Senior Care/Landings of Genesee Valley. She was Community Relations Manager. 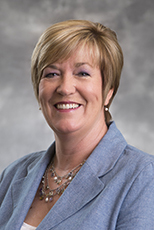 McLaren Homecare Group has named Vicki Watkins, MSN, RN, Vice President of Homecare. She will oversee all statewide home health care operations for McLaren Homecare Group and the McLaren Health Care system. 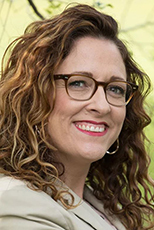 Watkins is formerly the interim service director at Kaiser Permanente Santa Clara Medical Center Home Health and Hospice. The Flint & Genesee Chamber of Commerce announces the following promotions: Elizabeth Murphy to Chief Operating Officer from Group Vice President; Kristina Johnston to Group VP from Director of Grants & Development; DeAndra McCain to Group VP from Director of Core Initiatives and the Convention and Visitors Bureau; Janice Karcher to Senior Vice President of Economic Development, has been promoted to Senior VP from VP of Economic Development; Michelle Hill to Director of Core Initiatives and Shared Services from Director of Shared Services; and Brandon Morgan to CVB Director from Associate Director of CVB and Core Initiatives. 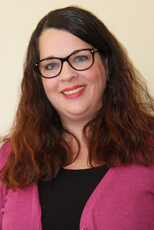 Lottie Ferguson is the new Director of Grants & Development for the Flint & Genesee Chamber. She was formerly Fund Development Specialist with the Ennis Center for Children. Tyler Rossmaessler is Director of Economic Development. He was formerly a Business Development Manager with the Michigan Economic Development Corporation. 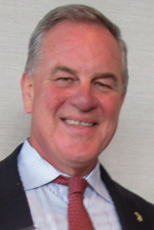 Douglas K. Brown, Director of Development for ASTI Environmental, is the recipient of the Robert Sieghart Award for Enthusiasm for the Economic Development Profession, presented by the Michigan Economic Developers Association (MEDA). Brown received award at MEDA’s annual conference in August. Baker College System’s business education programs have received reaffirmation of accreditation from the International Accreditation Council for Business Education (IACBE) through July 31, 2023. IACBE accreditation is an independent evaluation of educational business programs. Diplomat Pharmacy, Inc. in September acquired Focus Rx Pharmacy Services Inc., a specialty and infusion pharmacy with two locations in New York state. Focus Rx is a customer-focused health care partner that provides home infusion and specialty prescription management services. The acquisition bolsters Diplomat’s offering of extensive solutions to meet growing demand for infusion therapies. Health Alliance Plan (HAP) ranked highest in member satisfaction among health plans in the Michigan region, according to the J.D. Power 2017 Member Health Plan StudySM. The study measures satisfaction based on six key factors: coverage and benefits; provider choice; information and communication; claims processing; cost; and customer service. HAP received the highest regional score among participating health plans and excelled in overall customer satisfaction. HAP was the top regional performer on coverage and benefits, cost, information and communication and claims processing. Bridget Hollingsworth, Regional Director of New Business and Account Solutions, was honored at the Third Annual Women in Power Summit. She was recognized for her community service and outreach. Hollingsworth was honored for her work with Big Brothers Big Sisters of Flint and Genesee County on projects like the annual Bowl for Kids’ Sake fundraiser. Genesys stroke care has earned a national award from the American Heart Association and the American Stroke Association. Genesys received with the “Get with the Guidelines” Stroke Gold Plus achievement award – the highest recognition possible – and the Target: Stroke Honor Roll award for its excellent process improvement efforts in treating stroke patients. Hospitals receiving the Gold Plus achievement award have reached an aggressive goal of treating stroke patients with 85 percent or higher compliance to core standard levels of care for 24 consecutive months. The Target: Stroke Honor Roll award recognizes quality measures to reduce door to tPA time – at or below 60 minutes in at least 75 percent of stroke patients. Superior Travel Services is celebrating its 50th anniversary. Jack and Ursula Schmitt founded the travel agency in 1967 in downtown Flint. Now, the third generation is working in the family business and helping travelers experience the world. Deidra Wilson, Vice President of Government Relations for McLaren Health Care Corp., has been named to the prestigious Crain’s Detroit 40 Under 40 list. Wilson oversees government affairs for the system and its 19 subsidiaries. She has established operations for advocacy at the state and federal levels, oversees a political action committee and manages grant writing.